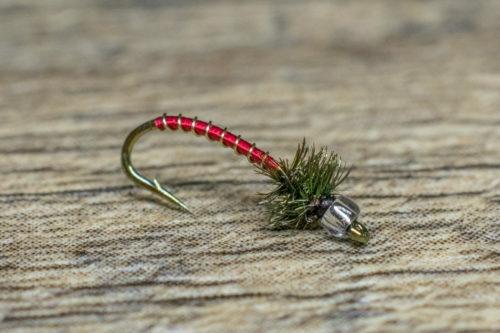 The original Black Beauty was invented over two decades ago to imitate the heavy concentrations of midge pupae found in tailwaters below deep, bottom-release reservoirs. 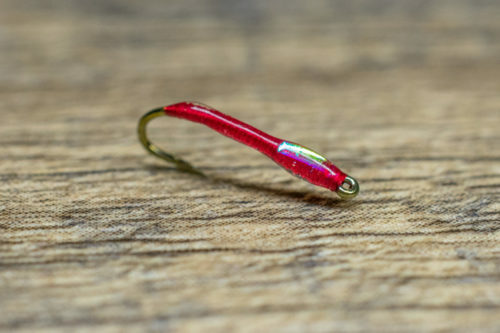 Don’t let the simplicity of this pattern fool you—it has consistently fooled selective trout all over the United States. 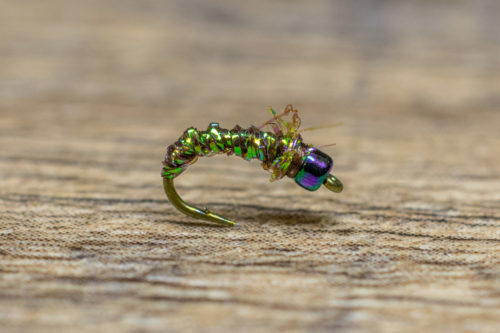 While the original pattern performs extremely well, adding a clear, silver-lined glass bead and some Mylar tinsel (Flashback Mercury Black Beauty) increases the natural translucency of this emerging pupa. A tungsten variation has the same goals in mind, but has a quicker sink rate and works well for dry and dropper applications. The Black Beauty and its variations fish well under a wide range of conditions, regardless of the season. It is especially effective at the beginning of a midge hatch. Once you begin to see adults hovering above the water, you should switch from a larva to a pupa pattern. 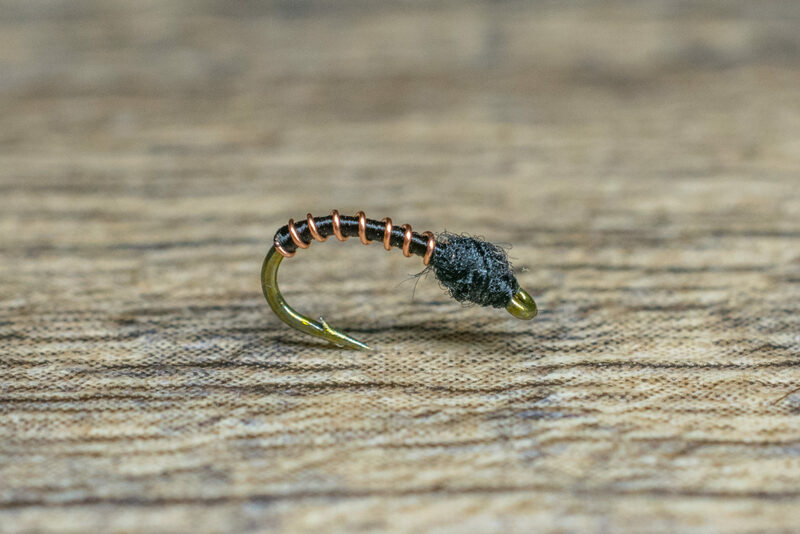 In the initial stages of a midge hatch, we tend to fish a Black beauty off an attractor (i.e. egg pattern) to draw attention to the small fly below. As the hatch intensifies, drop a Black Beauty off another pupae (Top Secret Midge, Manhattan Midge, etc.) as the trout are feeding selectively on midges. Observation is key when trying to match the hatch. Look at the size of the adults and match the pupa accordingly.